Our department offers comprehensive, high-quality heart care to patients, whether they need treatment for a common condition or one that requires advanced procedures and technology. Our team-based approach to patient care brings together specialists from cardiovascular medicine, pediatric cardiology, thoracic and vascular surgery, and interventional radiology. Our programs provide training of the highest caliber, in order to prepare clinicians and researchers who will serve as leaders in academic cardiovascular medicine. We work collaboratively with faculty from many disciplines and departments in the School of Medicine, and fellows have access to highly trained physicians and staff who are deeply committed to patient care. The Advanced Imaging in Cardiac Electrophysiology & Heart Failure program integrates recent advances in cardiac imaging into the care of patients with, or at risk of, heart rhythm disorders. 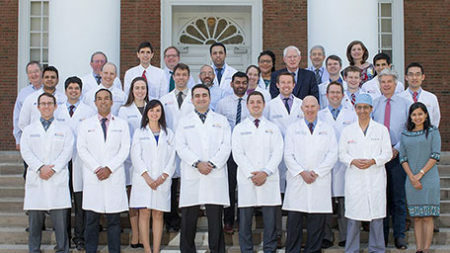 UVA Division of Cardiovascular Medicine faculty and fellows are committed to excellence in patient care, teaching, and clinical and basic research. 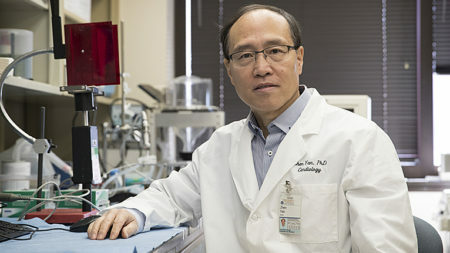 New research from the UVA School of Medicine shows that exercise can protect both muscle and nerves from damage caused by the restoration of blood flow after injury or surgery. Research holds enormous promise for bringing innovative strategies to the diagnosis and treatment of cardiovascular disease. 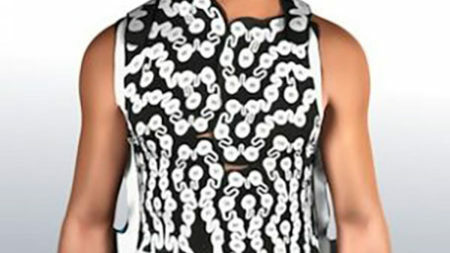 UVA physicians and scientists are seeking a better understanding of the cellular and genetic underpinnings of cardiovascular disease, while actively participating in clinical trials to evaluate new treatments. 2017 Mid-Atlantic Capital Cardiology Symposium: Controversies & Challenges in Cardiology. New Guidelines for High Blood Pressure From AHA/ACC Will Effect Millions In U.S.